We are delighted to announce that Sharon Goldwater has accepted a lectureship in Informatics at Edinburgh, with effect from October. Sharon graduated from Brown University in Providence, RI, in May '98 with an Sc.B. in mathematics- computer science and a strong interest in linguistics. From 1998-2000, she worked as a researcher in the Artificial Intelligence Laboratory at Stanford Research International (SRI), where she developed telephone-based and multi-modal dialogue systems. Sharon then returned to Brown, where she received her Sc.M. (2005) in Computer Science, and Ph.D. (2006). Her thesis, supervised by Mark Johnson in the Department of Cognitive and Linguistic Sciences, developed non-parametric Bayesian models for unsupervised learning of linguistic structure. 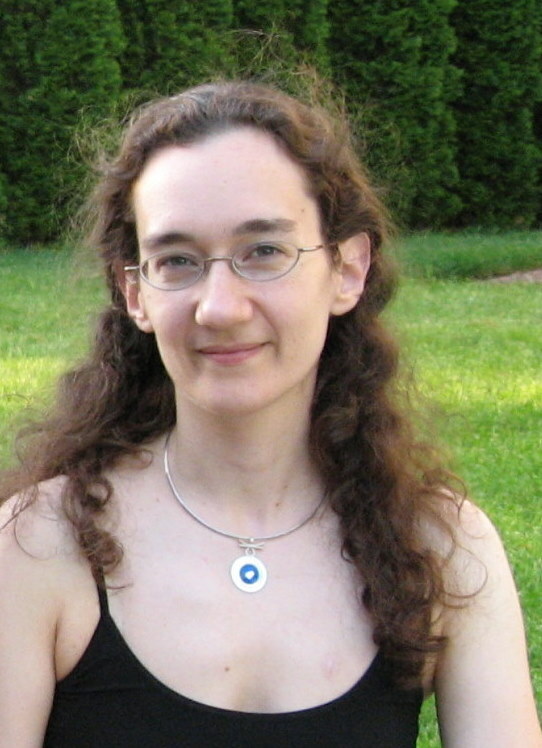 In 2006 she joined the Stanford natural language processing group as a visiting post-doctoral scholar. There she has continued her work on unsupervised language learning and cognitive modelling, as well as investigating the effects of prosody on speech recognizer errors. Sharon's current research interests include unsupervised learning, computational modelling of human language acquisition (especially phonology and morphology), and Bayesian models of language.